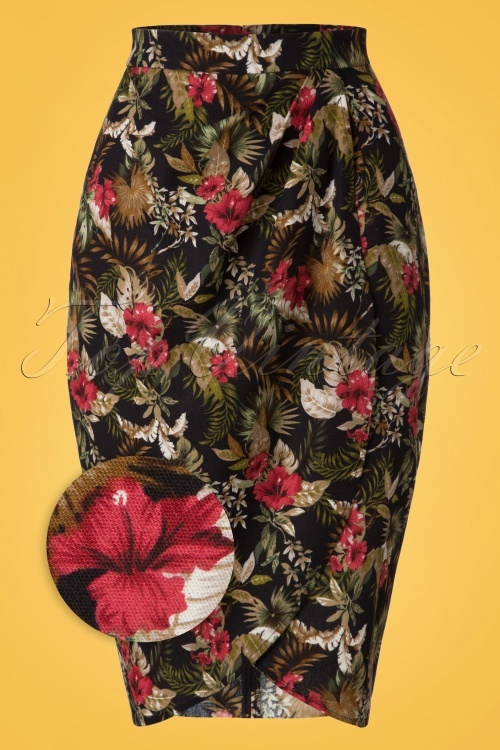 This 50s Kala Lanai Sarong Skirt is a striking skirt inspired by the tiki sarong skirts from the fifties! 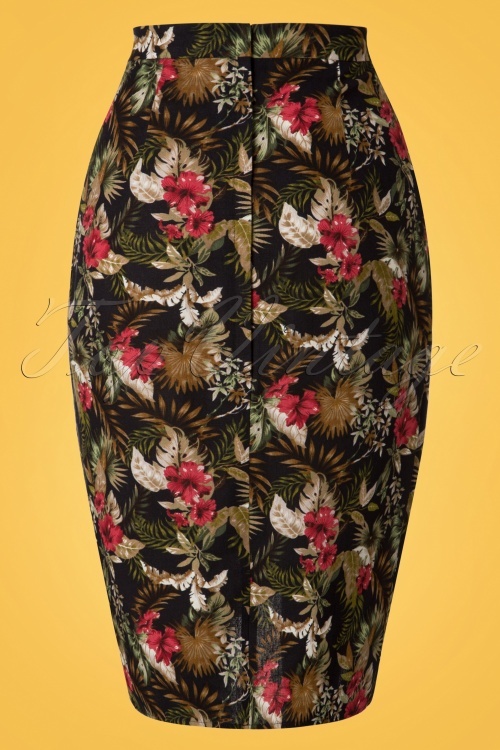 This stunning high waist style features a playful, feminine wrap-over... yes, this tropical beauty will surely brighten up any day! 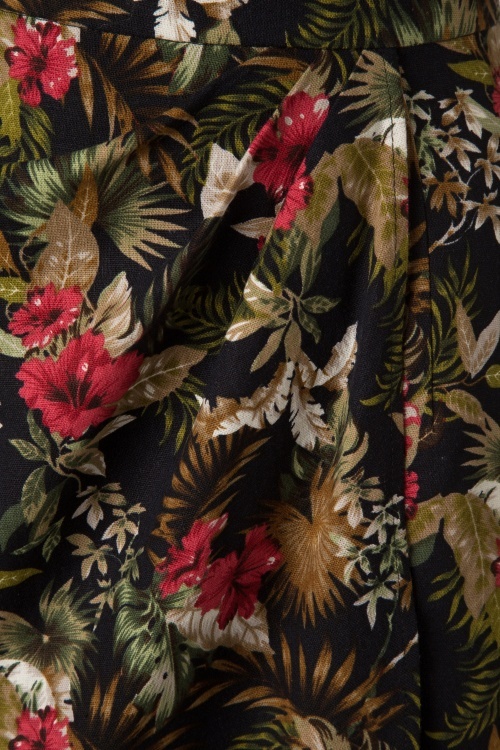 Made from a black blend of viscose and jute (doesn't stretch) with the look of linen featuring stunning tropical flowers for a real tiki vibe. Wear her to the beach on a sunny day or team with high heels for a night out, summer time is Kala time! mooie aankoop gedaan in de sale, M zit perfect. Weer een mooie aanwinst. Der perfekte Rock für den Sommer. True to size, ich bin begeistert.